As of today, owning a bump stock, the device that allows a semiautomatic rifle to fire continuously with a single pull of a trigger, is illegal in the United States. 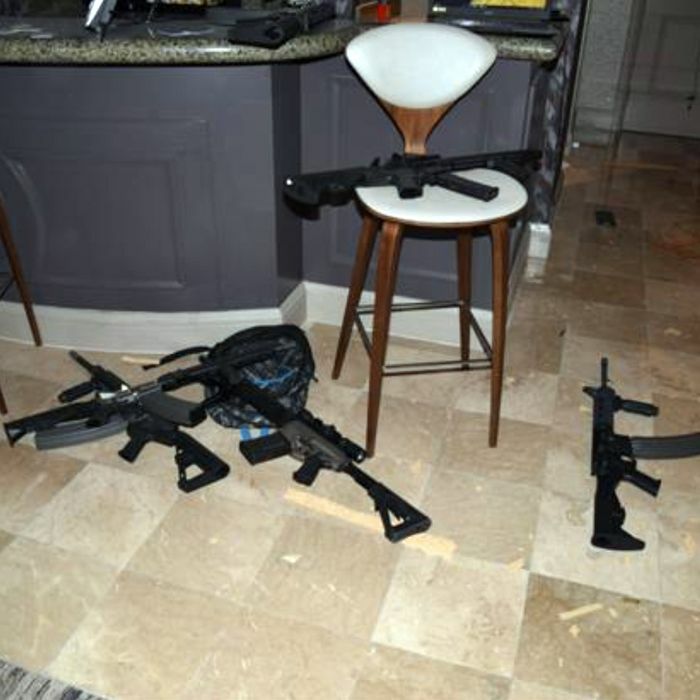 Nineteen months after Stephen Paddock opened fire on a crowd of concertgoers in Las Vegas, killing 58 and wounding hundreds more, the niche accessory that allowed him to fire more quickly (but also less accurately) has been officially banned. The move faced a flurry of legal challenges before going into effect Tuesday. But while several individual bump-stock owners have been granted a stay, Chief Justice John Roberts declined to stop the government from enforcing the ban. A second request to block the ban is pending in front of Justice Sonia Sotomayor and she’s expect to uphold it. That means a measure that has been called “the most significant new federal gun control measure in recent memory” will come into effect thanks to a Republican president elected with the help of the NRA. It’s not hard to imagine the type of hysteria this move would have caused if it had happened under President Obama. But his administration argued it was up to Congress to ban bump stocks. The Trump administration took a different view. Under then–acting attorney general Matthew Whitaker, the Department of Justice reinterpreted existing federal law and moved forward with the ban by changing regulations. It’s the kind of thing that would have had Second Amendment absolutists taking to the streets four years ago. Instead, many bump-stock owners begrudgingly followed the ATF’s guidelines and turned over or destroyed the devices. “For destruction, regardless of manufacturer or model, a Bump Stock must be made incapable of being readily restored to its intended function by, e.g., crushing, melting or shredding the Bump Stock,” an ATF document says. Cutting the device will also be allowed “so long as the Bump Stock is completely severed in the areas constituting critical design features.” Those who don’t comply could face ten years in prison and be fined $250,000. Perhaps surprisingly, the NRA has been largely silent on the subject. The group’s most aggressive pushback came in December, when it said it was “disappointed” by the ban. It hasn’t posted anything on Twitter or Facebook today. Gun Owners of America, another gun-rights group, has aggressively fought the ban and the DOJ’s authority to ban the devices through regulations. The ban has supporters in the gun-control movement, with Everytown and Moms Demand Action mobilizing their followers on its behalf. But it’s unlikely to have any effect on gun violence in the U.S. Bump stocks are novelties that most people hadn’t heard of prior to Las Vegas. The government estimates that Americans own 520,000 of them, at the high end. That leads to an obvious question: If banning bump stocks annoys gun-rights advocates but does little to stop gun violence, why is the Trump administration doing it? Because it makes Trump look proactive on gun violence without actually doing anything to stop it.